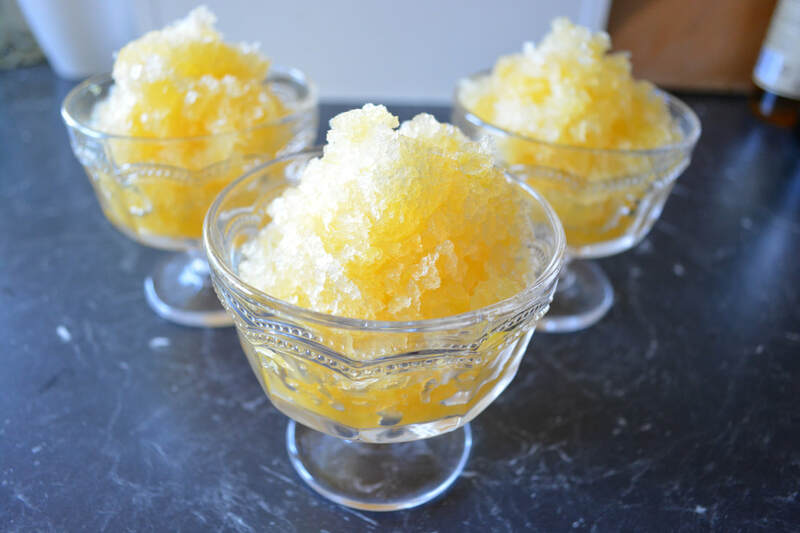 My kids love granita, they love the little icy crystals that melt in your mouth, they love the burst of fresh flavour they get with every spoonful. I had an abundance of oranges, so today I made this orange version for my family. Although it is very easy to make, it is something you should make on a lazy Sunday when you don't have anywhere to go. Why, because you need to start it in the morning and while putting it together is super easy, after the initial 1-2 hours of freezing time, you do need to set your alarm for 30 minutes, because for the next few hours, you will need to stir it with a fork, every 30 minutes, breaking up the ice crystals that form, and you stop when it is all looking like small crystals and it begins to look like snow. Not hard, but it does take time. 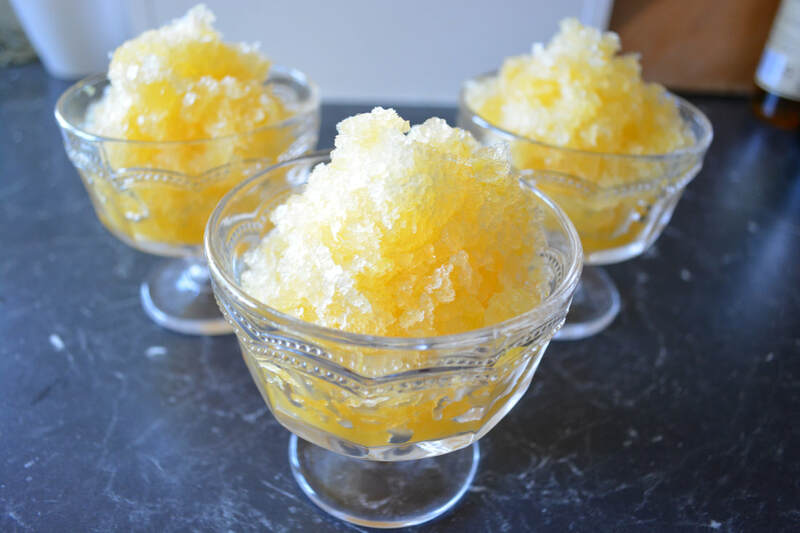 ​The granita will keep in an airtight container in the freezer for up to 3 days. Looking for a summer dessert that is refreshing, look no further. Place the water in a saucepan with the sugar and orange rind. Bring slowly to the boil, stirring until the sugar dissolves. Remove from the heat, and strain into a bowl. Stir in the orange and lemon juice, place in a freezer proof container, so that the liquid is only 2-3cm deep, and place in the freezer. After about an hour, ice crystals will start to form around the edges, stir the mixture with a fork to break them up. Return to the freezer, and continue this procedure every 30 minutes until the mixture resembles snow. This will take a few hours. ​To serve, spoon into serving bowls.